It’s been ten years but I made no mistake in recognizing her. There were only five people in the train compartment, out of which she was one. At first, I thought to avoid her. What was the point in exchanging pleasantries after all these years? She had not noticed me as her gaze was transfixed on the screen of her phone. I looked out of the window as I felt the past merge with my present. No. I cannot run away. I have to face it. If this person can affect me even after all these years, I definitely should not run away. I picked my bag and moved towards her seat. As I sat in front of her, she hesitatingly turned her gaze from her phone to me. The smile on her face faded away at once. “Hi Diya! How are you doing?” I asked. She clearly did not expect to see me all of a sudden. And the fact that I was greeting her as if nothing had happened between us baffled her. After a silence of two minutes, she nodded in reply. “Just like this train, life moves on. Holding on to anything eludes our peace of mind.” I said looking at Diya who did not utter a single word. She looked at me, her face tainted with myriad expressions. It was a combination of sadness, guilt, and anger. “I noticed you for a long time, but couldn’t gather the composure to greet you. After fighting a battle with my demons, I am here sitting in front of you, acknowledging your presence. I can clearly understand what you are feeling.” I continued. “It’s good to see you, Meera after all these years,” Diya said with a soft smile. “It’s great to see you too. Hope you are doing well.” I said. We talked to each other about our present life, family, and work. The cloud of awkwardness did not fade away, but the sun was peeping somewhere behind the clouds. Diya and I were best friends in college. We were inseparable and that’s why people used to call us Siamese twins. As far as I can remember, I couldn’t spend even a single day without talking to her. I considered her my sibling and pleaded with my father to adopt her. We used to argue at times but never harboured any grudges against each other. One day, we had a bitter fight full of accusations. In anger, I told her all the things I did for her and she pointed out my faults. The nasty fight was accompanied by several misunderstandings that destroyed the foundation of our friendship. I started avoiding her as even seeing her face pinched my wounds. We went separate ways and never tried to contact each other. I thought Diya had taken advantage of my helpful nature and exploited me. Maybe, that was true. But in anger, I have also said her things that the present me would have never said. Today, in retrospect, when I think about it, I understand that we both were at fault. And after all these years, it’s meaningless pointing fingers at each other and evaluating who was more wrong. The best thing that we can do to each other now is to release the pent-up anger and get a closure. “It’s time to leave. My station has almost come. You take care.” I said to Diya. “I am sorry too. And thank you for today. It was great meeting you.” I said and shook hands with Diya. She beamed and waved me a goodbye. As I alighted from the train, my phone beeped, alerting me of a new Facebook friend request. It was from Diya Sengupta. I felt liberated from the baggage that I was carrying subconsciously for the last ten years. My heart was at peace. It was overflowing with love and gratitude. At first I thought it would eb a love story, only to read on and find out it wasn't. Friendships are equally important, sadly the splitting of the doesn't get written too often. Glad you wrote about it, and so beautifully too. A lovely read. We can't forget friendships even though they are linked to unpleasant moments. Beautiful story. Glad she decided to be wise and mature about it. People fight, that's normal, but the bigger thing is to move on. You can't just sit with angst and pain in your heart all the time, how will you be free then? She chose to face her demons and in the process, she freed her heart of all guilt, pain and anger. I am sure they will become best friends again. I felt relieved after reading the ending. At times, friendships can be more satisfying than love stories, and separations more painful than a romantic break up. 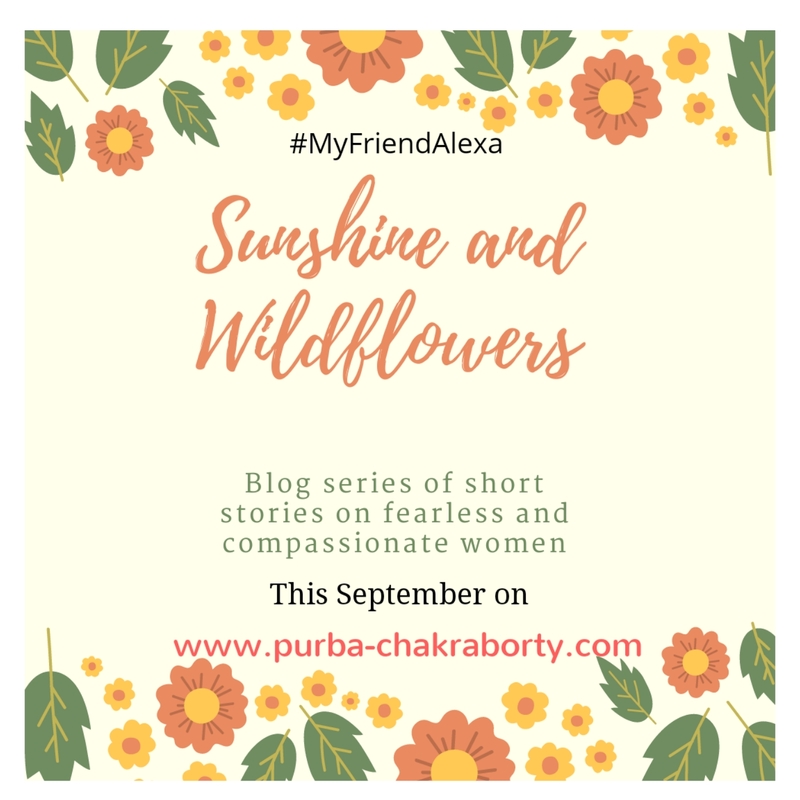 A well written story, Purba! Kudos! Your story is exactly similar to my story. I am not in talking terms with my once best friend, hostel mate, room mate, class mate and soul sister, Nidhi. I think I should ping her on facebook or just poke. I don't know, it feels so awkward to even think about doing it. But yes, good friendships never die. Thanks for this superb story! Such a pleasant friendship story. True to friends always connect back as soon. Lovely story and Soo close to life. We meet and then breakup with so many friends and such baggages are real. Good that Diya and Meera could be liberated by it. This could be any one of us. I have so many regrets of harsh words spoken and friendships lost. The protagonists here were lucky to have a chance encounter to right their wrongs. However having said that, with social media these days, it is honestly very easy for all of us to make amends if we wish to.